Pronounced JIN-jo-spar-ta. Former coalmining village. 50 miles northeast of Budapest. Total population: about 2700. Roma population: about 400. Schools: segregated. On a very early morning in the very early spring, a right-wing paramilitary group known as the Civil Guard (2000 men with shaved heads, dressed in all black) descended on the village’s lone Roma settlement, and spent the next two months terrorizing its inhabitants. The group’s stated intention was to deter “gypsy crime.” What that amounted to in practice was marching the streets with lit torches, snarling dogs and whips, and with flags that resembled those of the Arrow Cross, the Hungarian political party that killed some 80,000 Jews during the holocaust of WWII. By some accounts, a few of these paramilitary men actually went into the local school and threatened some of the Roma students. By some accounts, one teacher threatened the Roma students herself. Sit down and be quiet, she told them. Or I will call those men in here right now. By some accounts, those kids are still wetting their beds, three years later. Because even the very young ones knew what these men were about. They are Nazis, at least one seven-year-old girl told her mother. They came here because they hate us gypsies. At first, the local government did nothing, except say that they could not arrest people from marching down the street, or for singing songs (the mayor at the time was a member of Jobbik, the far-right political party known for it’s strong anti-gypsy stance). But before long the press took notice – and not just the Hungarian Press. French TV came, and Swedish TV, too, and the Guardian and a host of others. And then the U.S. Ambassador to Hungary made a statement condemning the Guard’s tactics and imploring the Hungarian government to take action. Eventually the Hungarian Red Cross stepped in and evacuated the women and children on buses. 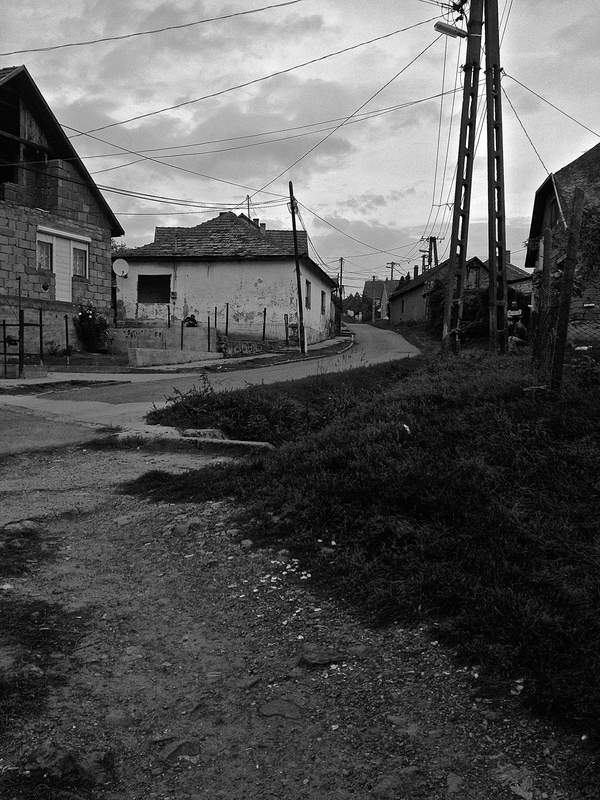 Even then the local government tried to downplay the situation, insisting to media that the Red Cross was taking the children on an “Easter vacation.” Only after several weeks passed, and non-Roma community members started complaining about the pseudo-military presence, did the municipality finally step in and force the Guard to disperse. As it happened, most of them were from outside Gyongyospata. So ok, that’s the backstory. There are three different ways to segregate a school in Hungary. One: you keep all the Roma in geographically distinct settlements, and then set up “Roma-only” schools in those settlements. This is the most straightforward approach, by far. Technicalities of law may mean that any family can send their child to any school. But the Roma families will be largely unaware of this fact, and in any case will not be able to afford the time and money required to transport their children to the better schools in the non-Roma neighborhoods. Two: you send all children to the same centrally located school, but you keep the Roma students on a separate floor or in a separate set of classrooms, and you prohibit them from using the athletic equipment, cafeteria, computers and so on. From a distance (i.e. on paper) the school looks integrated. Close up though, Roma students are kept well apart from their non-Roma schoolmates. Three: you shepherd as many Roma students as you can into the ‘special schools’ for students with learning disabilities. In terms of policy, you can either design the aptitude tests so that they favor richer, non-Roma kids, or you can administer those tests as a mere formality and instead rely on school administrators’ personal judgments about what’s best for each student. In Gyongyospata, segregation occurs by way of options two and three. 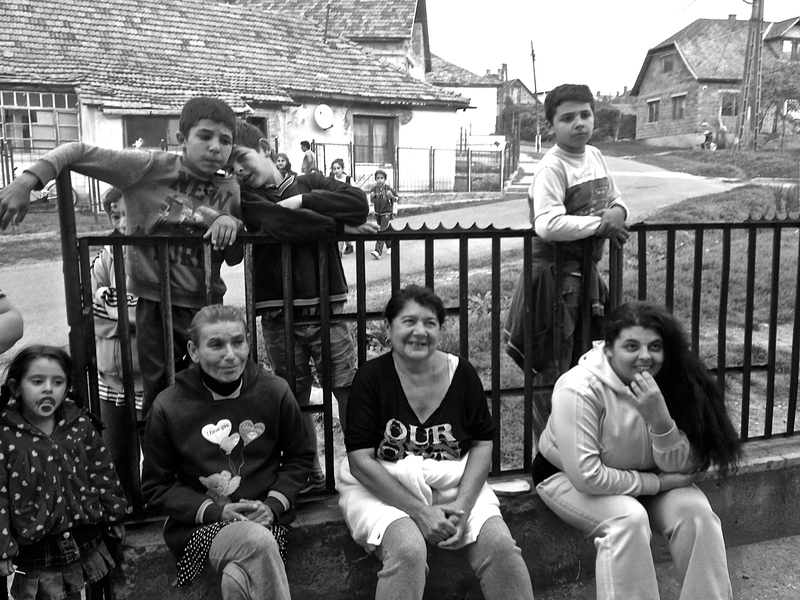 About 80 percent of the students in the village’s special school are Roma. And in the main school, Roma students attend class on the school’s first floor, while non-Roma students are taught on the second. The non-Roma receive English lessons and have access to the school’s computers, swimming pool, and after-school programs. The Roma receive none of those. The Chance for Children Foundation, a Hungarian NGO that has been working to desegregate Hungarian schools through strategic litigation, filed suit against the main school in Gyongyospata back in 2011. In October of this year, the court finally ruled in their favor. I met with Adel Keyge, the NGO’s lead attorney, a day after the decision came down. Her team had filmed the judge’s pronouncement and produced a short documentary about the case, and she was planning to screen it in the settlement, so that the families who could not make it to the courthouse (which was about an hour and a half away, in Budapest) could still see for themselves. She invited me to tag along, so that I could interview some of the parents and children. I accepted, thinking it would also be good to observe her at work in the community. Journalists far more experienced than I have long pointed out that relying too heavily on NGOs to access disenfranchised communities risks distorting the picture of what life in those communities is really like. I’d been striving to report as much as possible without forcing the NGOs to play tour-guide. But I also wanted to confront this potential distortion head on. 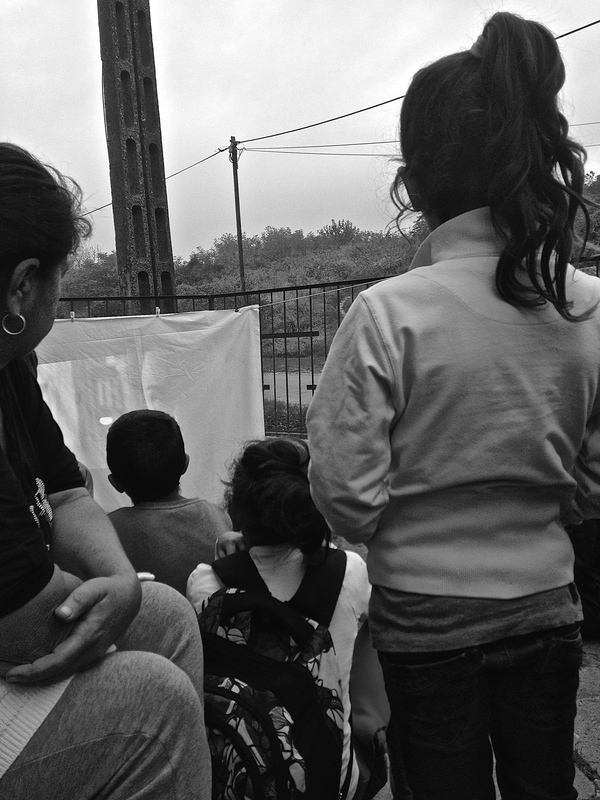 What is the difference between Roma that utilize NGOs and Roma that don’t? What are the points of contact? What does that interface look like up close? The municipal government would not let the NGO use its community center for the screening, so Adel arranged a gathering in the front yard of the settlement’s nicest house (i.e. the only one with a fence over which a white sheet could be draped widely enough to serve as a movie screen). It happened to be the house of Janos Farkas, the local president of the Minority Self Government. (The MSG is a 53-member advisory body that is supposed to represent minority groups at every level of government. Proponents say this apparatus ensures that minority voices are heard, even if they don’t have the votes to grab an actual seat at the table; critics point out that the MSG has no real power). The job came with a small salary, and so the house itself bore the sort of striking incongruities that one occasionally finds when substantial poverty (Roma settlement) is nestled amid comparative wealth (larger Hungarian society) and then diverted by actual income (steady employment). There was a large wooden table with five matching chairs in the center of the room, and standard wooden cabinets along the kitchen’s main wall. There was a modern stovetop, oven and coffee maker. And a stainless steel sink, which suggested that unlike most of the Roma kitchens I’d been in so far, this one had running water. But still: the roof looked leaky and tattered, and was partially collapsed in the back. The porch was unfinished and short a railing. And as far as I could see (I only peeked), the other rooms were dim and sparsely furnished. We found Janos in the kitchen with a small entourage of men. They were celebrating an even more immediate victory than Adel’s court case. Just two days earlier, Jobbik had been roundly defeated in the village’s mayoral and municipal elections, and with voter turnout at 75%. The Roma vote had proven key; the new mayor had even thanked them, explicitly, in her victory speech. “This an important occasion,” Janos said. 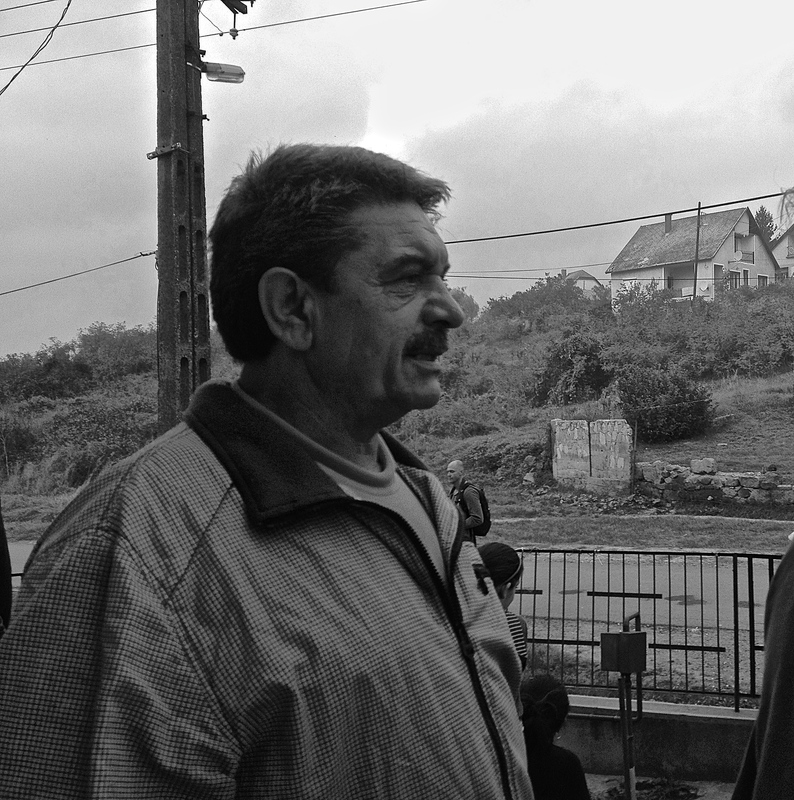 “Not only does it show that we Roma can sway an election, but it also shows that Jobbik’s way – the way of sowing hatred – has been rejected.” He took a shot of Palinka with the other men, and then added with some officiousness that democracy would now return to Gyongyospata, and that there would be jobs for Roma and non-Roma alike. Like I always do when a politician speaks, I wondered how much of his own rhetoric he actually believed. Before I could find the words to ask, he poured me a shot of Palinka. Outside, the mothers had congregated along the fence. They sat on the concrete base and leaned against the posts, talking to Adel and to each other. School had just let out and the children were trickling down the road and collecting around them. In the background, one group of men was setting up speakers and fussing with the sheet-screen, while another group was gathered around the porch talking politics. Thick tendrils of black smoke curled up from the backs of a couple neighboring houses. My translator asked if I noticed the smell. I did, I said. “It’s rubber, right?” She nodded. I asked the women if the situation at the school had improved at all since the lawsuit. Their kids were permitted to use the swimming pool now, they said. But only when the non-Roma students weren’t there. One woman said that two of her children had been shunted into the special school, and she couldn’t seem to get them out. “They are not being taught anything there,” she said. “They are just made to sit all day.” Another woman said that her son was in fourth grade, but still only had his third grade books. She didn’t know why. The screening began before I could get many more questions in. It showed the judge’s verdict interspersed with interviews of some of the students themselves. They talked about the same sorts of things that the mothers had just mentioned: not being allowed to use the facilities that the non-Roma students used, not being given the proper textbooks, not really learning much. To get started, they would need very precise data. So in the months ahead and her team would be going home by home and interviewing each family about the specifics of their child’s education – if and when and how they were tested for special schooling, if and for how long they had been in segregated classes, and so on. That in itself would take some time. Janos had made his way over to where my translator and I were standing, and had been whispering to us as the film played. “For weeks after the Nazis came, these kids were too scared to go to school,” he said, waving his arm out towards the children gathered around the screen. He told us how it was one man who organized the whole thing. How rumor had it that that man had come from quite far away and had been paid by the mayor himself to organize military-type trainings for the Civil Guard. After the whole thing died down, that man gave an interview to some French television station, saying that he had just recently concluded that the Roma were not as bad as he had been told. If he had known that before, he said, he would not have done all of this. “Just a few hours after that interview, that man was found hanged in the house where he was living,” Janos said, pointing to a house tucked up in the hills across the street. He widened his eyes and drew his index finger across his throat. After the film, he asked us to follow him around to the back of the house. We did. The beauty of the surrounding landscape struck me immediately. It was all lush and green and rolling. “They camped right back there in those hills,” he said. He was talking about the Hungarian Guard, still. “They wanted to establish a training camp, like they had near Tatarszentgyorgy.” Tatarszentgyorgy was just 130 km south of Gyongyospata. It had been the site of a violent murder, which itself had been part of a string of similar attacks: Between 2008 and 2009, a group of neo-Nazis killed six Roma (including two children) and seriously injured five others. The intention was to provoke a violent reaction from the victims’ communities, and from there to incite an ethnic war. The group was said to have prepared for this reckoning, which involved guns, grenades and petro bombs, in a sort-of Nazi training camp run by former military men. A laptop for his children (my translator seemed uncomfortable telling me this. All the NGOs I’d traveled with had warned me not to offer cash or gifts to anyone because it would encourage begging and would damage the organization’s reputation, presumably by giving substance to the accusation that all they do is give handouts to poor people. But honestly, I couldn’t blame the guy. If I were in his shoes, and some American girl came around asking a bunch of questions, I’d probably hit her up for a laptop, too). The respect of his non-Roma countrymen. “I always worked for Roma and non-Roma alike,” he said. “When the school’s roof needed repairing, for instance, I was able to get the money to repair it – and money for the kindergarten, too – from the Fund for Roma and Disadvantaged.” He’d gotten to meet George Soros, back in 1994, he said. And had lobbied him on the village’s behalf. “George Soros asked me what we needed, and so I went and asked the school director, and she laughed in my face. So I called Soros from her office, while she was sitting there!” He said he ultimately got Soros to pay for a school computer, but that now, the Roma students weren’t allowed to use it. I was surprised to see Adel looking so forlorn on the ride back to Budapest. “That went well,” I said. “No?” (In truth, I had spent most of the visit talking to Janos). We were on the highway now, and she was thinking about the mothers back in Gyongyospata. 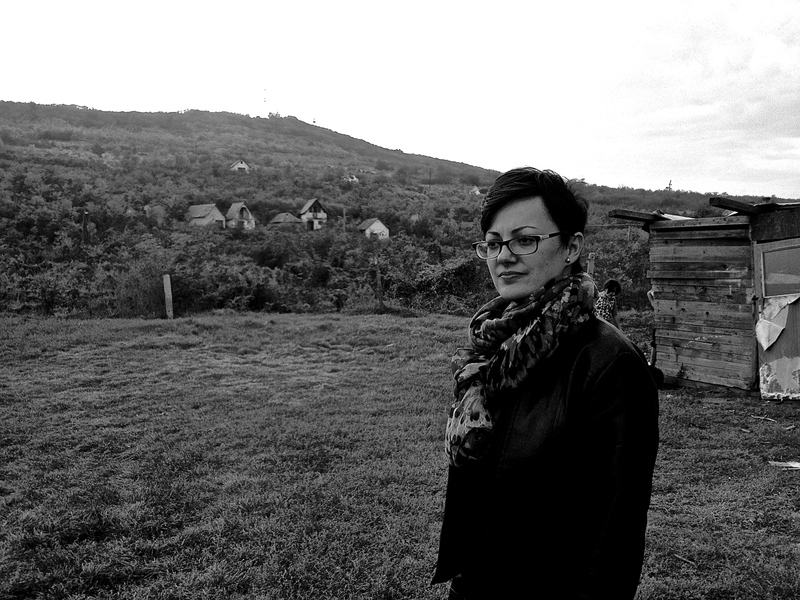 “I told them 100,000 forints [about $400 USD],” she said, referring again to the compensation case. “Really, I think they can get them 500,000 per kid, but I don’t want to get their hopes up.” The children in Miskolc (another Hungarian city with Roma settlements and segregated schools) had only gotten 100,000 HUF in their compensation case (also litigated by CFCF). But there was a guy once, she said, partially blind, who had been prohibited from bringing his service dog into a store. And when he sued for discrimination, he got 500,000 HUF. Surely a child who had been denied a meaningful education for years on end, who might now never catch up to his peers, who now faced a lifetime of stigma, deserved at least that much.